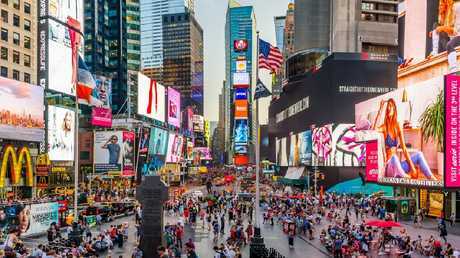 Millions have flocked from all over the world to visit this rock, which has been deemed one of the most overrated tourist traps on the planet. THEY are the must-see destinations on everyone's travel bucket list that draw millions of tourists every year. But they're also the spots many of us have travelled thousands of kilometres to see, and battled massive crowds to get close to, only to be left thinking, "Huh. Is that it?" And according to a new list, some of the world's most iconic attractions are also the worst offenders. 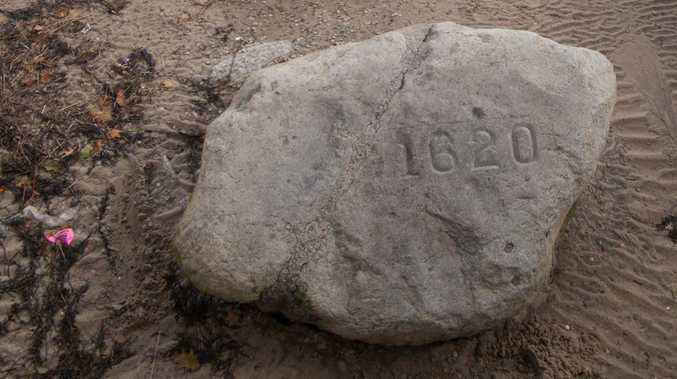 If you've been to the United States you might have been tempted to see where the modern nation (supposedly) began - with Plymouth Rock, a literal rock enshrined in a granite canopy by the shore at Plymouth, Massachusetts. 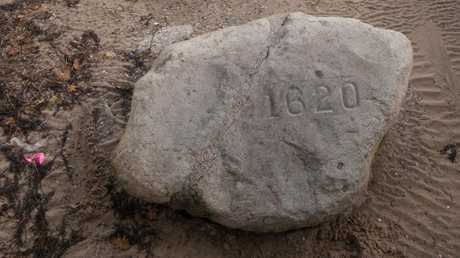 It is said to be the site where the first English Puritans stepped off the Mayflower and into America. "Put bluntly, this attraction is massively lame," Far & Wide said. "It's just a rock, in a fancy canopy that's way more impressive than the rock itself." "If waiting in line for several hours to plant your mouth on a rock slimy with the moisture of a million other lips touching it is your thing, be our guest," the site said. 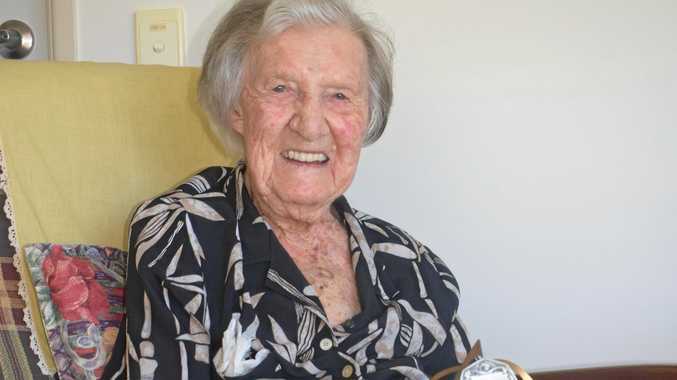 "But we'd rather walk around the more interesting grounds, including a garden of poisonous plants." Far & Wide had expected something a little … taller. "It's not that this prehistoric monument is a total waste, but it's never quite as grand as you were expecting," the site said. 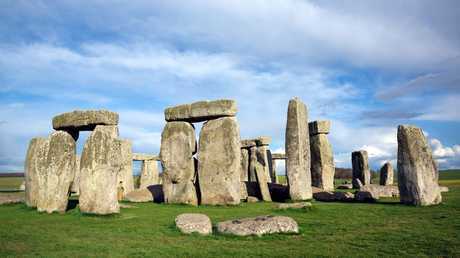 "The stones aren't 50 feet (15m) high, and the crowds take away the sense of eerie wonder that must have entranced those who stumbled upon the mysterious circle back in the day." It's not that this series of waterfalls straddling the US-Canadian border isn't majestic - it's that the tourist trappings have taken the gloss right off it. "The problem with the falls is the entire mini-economy of tourist crap that's been built up beside (and under) them," Far & Wide said. "The Canadian side is a little better than the American, but still, it's just an unending array of gift shops, tacky restaurants and tourist attractions." Ah Times Square, the least authentic slice of New York City life imaginable. "(It's) is loud, tacky, overcrowded and not very much fun," Far & Wide said. "That won't stop most tourists from venturing into it anyway, only to break free, several minutes or hours later, gasping at how awful it is. Yep, we said it." Far & Wide admits the Taj Mahal, the marble mausoleum considered to be one of the world's most beautiful buildings, is a controversial inclusion on its list. But it has its reasons. "First, you will drive forever to get there," the site warned. "Then, you will stand in line forever to get in. "And then, once you're in, you and approximately one million other people will pour through the palace, utterly ruining its serenity by chattering, taking photos and generally missing the entire point of the place, which was built to mourn and honour a lost love." Yeah mate, we all have this photo at home. Here's another "must-see" tourist attraction in the middle of not much. 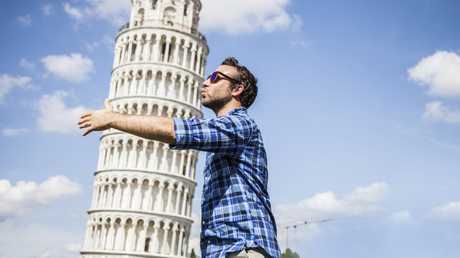 "Your enjoyment of this attraction will really depend on how much you've taken in the title of the place, because it says it all: There is a tower in Pisa, and it leans. That's about it," Far & Wide said. "Oh, you can climb it, too, if you like waiting in line to exert yourself near utter strangers in order to glimpse an OK-ish view of the Italian countryside." That costs 18 euros, or about $29. This royal church, where kings and queens had their coronations and were buried alongside luminaries like Charles Dickens, Charles Darwin and Stephen Hawking isn't worth your time in London, Far & Wide reckons. "It's not that Westminster Abbey isn't impressive - it is," the site said. "It's just that the church is so darn crowded, with guides leading herds of tourists around while braying out information." And that's not all. Here are some other bucket list stapes Far & Wide reckons aren't worth our time. If there’s one thing that outnumbers even the tourists in Venice, it’s the pigeons. VENICE, ITALY: "Bird poop. 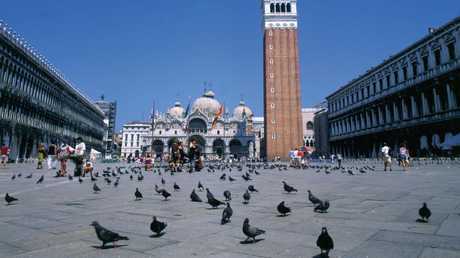 Sorry, but that's what Venice is full of, due to all of the pigeons that flock here. Also flocking? Tons and tons of tourists." EMPIRE STATE BUILDING, UNITED STATES: "With its steep entrance fee, massive crowds and intensive security check, it's hard to find much to love here. And when you actually get to the top, you can't even see iconic sights like Central Park!" VERSAILLES, FRANCE: "Versailles might be the most depressing tourist trap on this list, because it could be a beautiful and intriguing destination if it weren't so filled with other tourists." FRENCH QUARTER, NEW ORLEANS, UNITED STATES: "The French Quarter is not charming. It's full of visiting day drinkers and businesses that use sleaze to sell more drinking." ROMAN COLOSSEUM, ITALY: "The queues to go in are long and disorganised. And once you make it in, the walking is difficult, there are tons of people there, and few interpretative signs are provided." MANNEKEN PIS, BELGIUM: "This inexplicably famous statue shows a little boy urinating into a fountain. It's a little boy. Peeing. That's it." TOWER OF LONDON, ENGLAND: "The crowds are endless … this is a place that tries to pass off a bunch of loud crows as 'the Tower Ravens'. Off with their heads." THE MONA LISA, FRANCE: "It looks exactly like you were expecting, except smaller … the Louvre has thousands of other pieces, almost all of which are beautiful and easier to see." PYRAMIDS OF GIZA, EGYPT: "Deserts are usually hot and dry … Add in the difficulties of negotiating your entrance fee and the fact that exploring the structures involves navigating long, dark, narrow, low tunnels to see a bunch of empty rooms and, well, we'll pass." COPENHAGEN LITTLE MERMAID STATUE, DENMARK: "Fancy a long walk through Copenhagen for no other reason than to gaze at a four-foot-high statue stuck on the waterside, while jostling for space alongside a bunch of other tourists who got snookered into doing this?" MOUNT RUSHMORE, UNITED STATES: "The problem is that it is set very high in the hills, so far away from the viewing platform at the national park dedicated to it that you need to bring binoculars to really see much of anything." TREVI FOUNTAIN, ITALY: "We're mentioning that because you'll likely have trouble doing more than glimpsing it unless you go at the crack of dawn." MADAME TUSSAUDS, EVERYWHERE: "This is, at best, a sort of weird place, and at worst, a hugely depressing slog which will make you question just why our society values celebrity so much." Far & Wide called out plenty of American sites you should skip: South of the Border ("not only shoddy, but offensive"), LA's Chinese Theatre ("inexplicably over-hyped gaudy monstrosity"), Grand Canyon Skywalk ("price gouging"), The Alamo ("takes itself way too seriously") and even the Statue of Liberty ("the big secret of the Statue is that the views out of the crown aren't very good". Australia was spared from the list, which is good, but we haven't always been spared. Last year, some of our most iconic sites were blasted on TripAdvisor by international tourists who didn't get what the big fuss was Down Under. 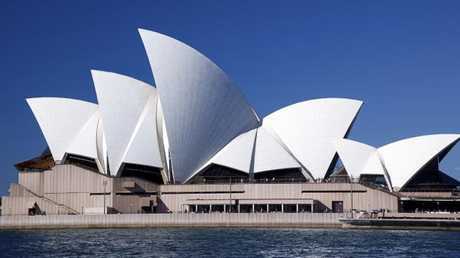 The Sydney Opera House was dismissed as a "dirty looking brown building that somehow always appears to photograph white". Sydney's famous The Rocks district was branded "a tad disappointing". "No rocks to see," one reviewer said. "A little dead area." Victoria wasn't off the hook, with TripAdvisor reviewers taking aim at the Twelve Apostles ("weak. Don't bother"), the Shrine of Remembrance ("boring"), the Yarra River ("take a photo and move on"), Federation Square ("what drugs were the designers of this monstrosity on?") and the sacred MCG ("food prices are a disgrace and the quality and range is mediocre").